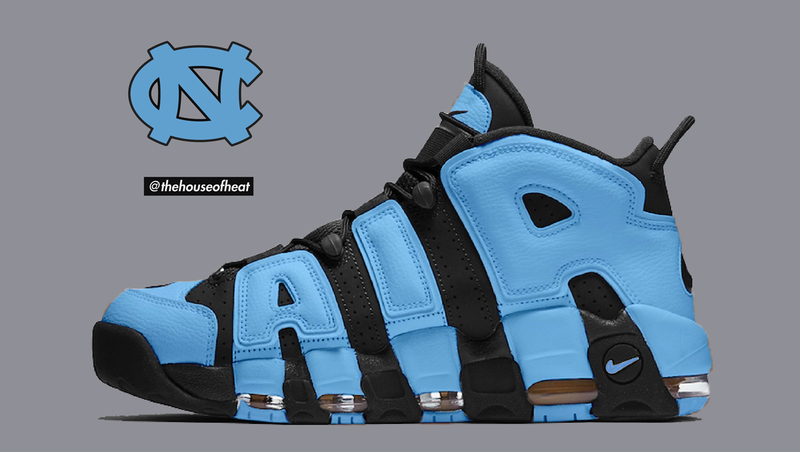 A “UNC” Nike Air More Uptempo? Why not. After the success of our “Infrared” More Uptempo concept, we’re back with another classic Air Jordan colorway, this time transferring to Mike’s Hall of Fame teammate’s most iconic silhouette. We have to go way back to 2006 when we first saw the “Black UNC” surfaced on the Air Jordan 5. We’re also seeing it hit the Jordan 6 this December. As you all know, Scottie Pippen went to college in Central Arkansas, which was recently celebrated on the Nike Air Maestro 2, when Ronnie Fieg’s KITH collaborated on the sneaker, decked in tonal purple – the University colors. Plus, it just looks too good to keep as a Jordan-exclusive colorway. Love it or Hate it? Tell us what you think of today’s concept in a comment below! To see more of our Concepts, click HERE!